It might not look it, in bright and vibrant primary colors, but this beautiful new Babylon stationery range by Lexon is inspired by the striking forms found in rock strata. 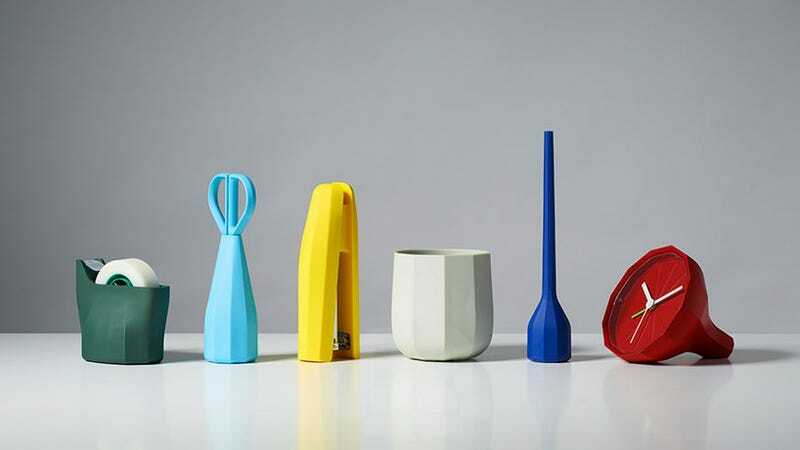 I wanted to create an aesthetic, tactile set of objects that work as well in the office as in the home. each object has its own character and individuality but still looks coherent in a group… These forms were then split by planes rotated along one axis, usually vertically though the center. The 3D outlines around the shape were then re-skinned to create the final objects.